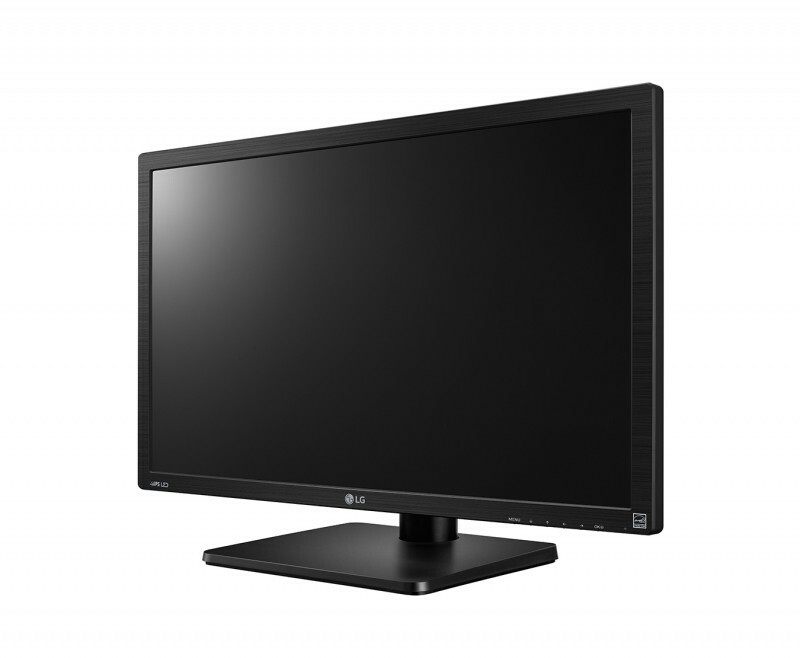 The LG 23MP57HQ-P is a budget monitor mostly suited for the professional multi-tasking activities. However, its vibrant image quality and crisp Full HD resolution make for a nice monitor for gaming, watching movies, and other casual multimedia activities. 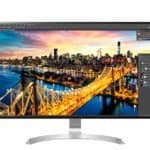 What makes this monitor unique are the various exclusive features which will make the professional work get done more easily and efficiently. The LG 23MP57HQ delivers a vibrant image quality with consistent colors due to the IPS panel which also ensures the impeccable 178-degree viewing angles. The Full HD 1080p resolution on a 23-inch monitor results in a crisp and sharp picture quality with vivid details. Moreover, the quick 5ms response time eliminates ghosting and trailing of the fast moving objects in the everyday use as well as in gaming. 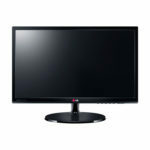 For a budget monitor, the LG 23MP57HQ delivers an outstanding performance and a great image quality. The marketed color gamut claims 72% of the CIE 1976 color space. As this color gamut has a lesser range than the common sRGB color space, this monitor isn’t suited for the professional designers and their color-critical work. The colors are still quite rich and meet the demands for an immersive gaming or movie watching experience as well as for the professional multi-tasking jobs due to many practical features. One of these features is the Color Cloning application. 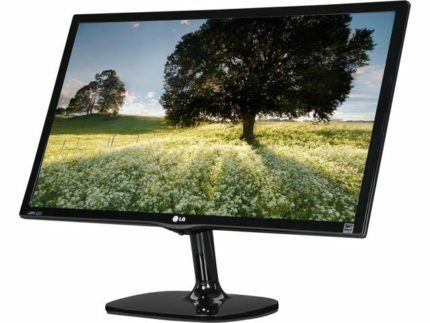 This software allows you to match the colors and brightness level of the two LG 23MP57HQ monitors connected to the PC in order to achieve the identical and consistent image quality on both monitors. In addition, the 4-Screen Split feature allows you to split your screen into several different layouts for easier and broader overview of all your open application windows. Lastly, the Super+ Resolution feature allows you to scale the image without degradation and blur for a crisp and sharp upscaled image quality. The LG 23MP57HQ offers an user-friendly OSD menu which can easily be navigated via the joystick that’s placed beneath the screen. It also functions as the power button as the monitor turns on when the joystick is pressed, turns off while it’s held for three seconds, and you can even adjust the audio of the headphones by moving the joystick to the left or right. Once you press it while the monitor is on, a small shortcut menu will pop up and allow you to quickly access the OSD menu, pre-calibrated picture presets, or toggle between the input sources. Once you enter the OSD menu, you will be able to adjust all the common parameters such as brightness, contrast, sharpness, aspect ratio, etc. The mentioned presets include picture modes with optimal settings for the best viewing experience according to the activity on the screen; these presets include Reader, Photo, Cinema, Custom, and Game modes. Besides the optimal brightness and sharpness settings, these presets also incorporate the dynamic contrast ratio and black level features which increase visibility in the dark scenes. Additionally, the Reader modes feature a low blue light filter and have reduced flickering which allows for long hours of watching the screen without feeling eye fatigue. There’s also a Color Wizard feature which suits the image for those who cannot distinguish certain colors and a Smart Energy Saving mode. Lastly, under the color settings section of the OSD, you can tweak gamma, color temperature, configure red, green, and blue color levels as well as hue and saturation for the 6-axis colors. The design of the LG 23MP57HQ features a glossy black cabinet while the stand has a textured finish. The screen is covered with a 3H anti-glare material for the sunlight reflection. As far as ergonomics are concerned, the monitor can be tilted by -5, 20 degrees and VESA mounted with a 75 x 75 holes pattern. The bezel is relatively thin, however, it’s not ideal for the two-in-one image multi-display but rather for two separate images which can benefit from the Color Cloning application. The LG 23MP57HQ features an HDMI 1.3 port and the analog VGA (D-Sub) port. There’s also an audio input for the headphones. All ports are placed at the back of the monitor and face upwards for a more easier and convenient connecting. At the moment (March 2017), the LG 23MP57HQ-P is available for $125. It’s an appealing and reasonable price considering the monitor’s enticing design, crisp Full HD resolution, vibrant image quality, and numerous exclusive features. All in all, the LG 23MP57HQ delivers a remarkable performance and image quality for the money it costs. It is ideal for those who need an affordable monitor for their multi-tasking jobs since it offers a spacious display with many practical features such as the screen split and color cloning. However, due to the quick response time, pre-calibrated presets, and crisp and vibrant image quality, the monitor is also perfect for casual high-quality gaming at 1080p and an immersive movie watching experience. Since it only covers 72% of the CIE 1976 color space, it’s not adequate for color-critical work, but if properly calibrated it’s good enough to get some designers started. 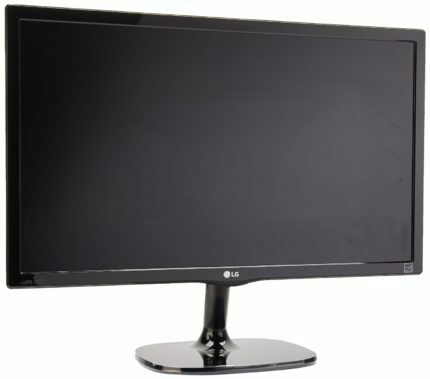 The LG 23MP57HQ offers a crisp Full HD resolution, vibrant image quality, quick response time, and many unique features for multitasking such as color cloning and screen split software. Additionally, it features an enticing design and an appealing price tag.